Hello to all my friends it has been awile since my last post.I am looking forward to another great year of chat and photos with you all,it want be long untill mushroom time hear in the Mountians,a little fishing,a little polk salad,and finaly my favorite season of the year,,yep lol you guys that know me can easly guess it Ginseng Season. !! Praise The Lord !! Hi Billy, Haven't been on here myself in a while. Can't wait to start shroomin, but it's still a month away up here. They probably start a little earlier down there in KY.
Hey Billy, seems like that's a little late for you that far south. Do you find any Black Morels? I was down that way during the Turkey Season some years ago and picked a BUNCH of Morels. I am predicting I'll be picking Blacks here in a week or so, but won't be REALLY getting into them for 9-14 days (predictions ... lol). But I like you, am ready for them !! IT'S CLOSE !! Shroomy once in awhile we can find them in late March if it has been warm enoughh but most of the time its April,,we do find some black ones as well yum yum there so good. Since you don't find many Blacks that may be why you kick off your season so late. While I was down there picking I didn't find any Blacks. 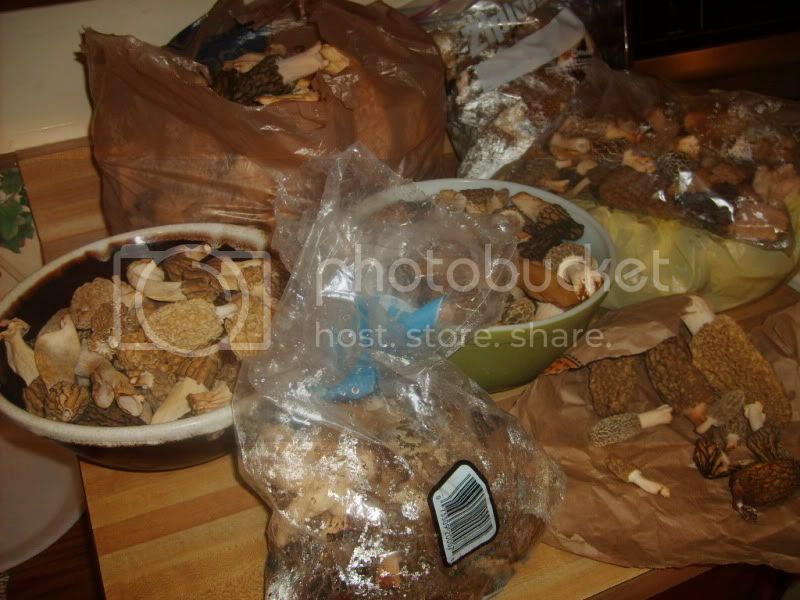 Seems to be alot of \"dead\" areas in the states I have picked when it comes to the Black Morels. I'll be heading to Ohio to guide kids on the youth weekend there. I'm sure I'll pick some Morels while there, but I have yet to find good finds during the hunts there, just the Half-free Morels, but lots of them. I'll be missing out on some good picking here during those days. But it is worth it, I really enjoy seeing the kids have a great time hunting, fishing, hiking, etc.. 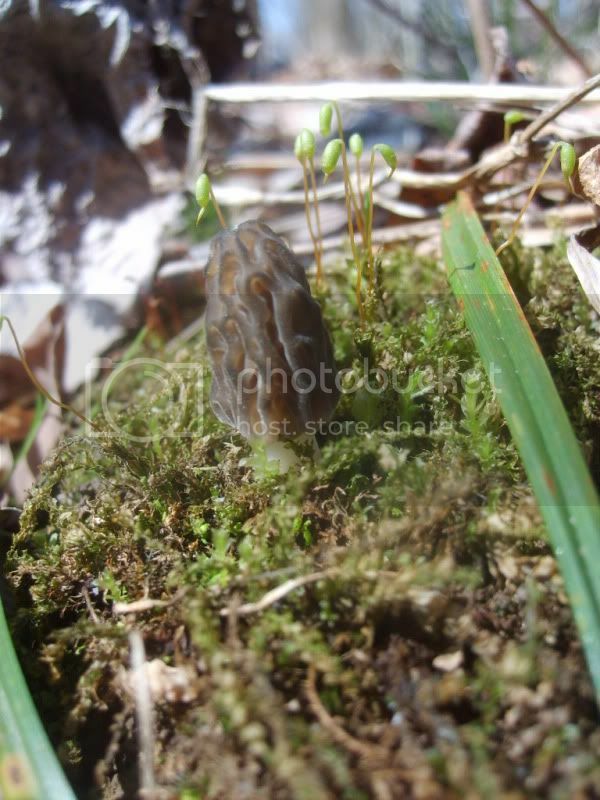 I hope you have a great Morel Season and I'll be watching for posts/updates. Good luck to you ! 5 prong thats strange as the blacks are the first to come up, followed by the half-free ... and as far as your state, im right there nearby ... lol ... i dipped into the woods for a few today and found this lil guy ... was way too small to pick so i left it there, and will return to pick later .... it has started here !! anything yet Billy ? they aint up here yet.